Zhangjiajie Trip Website is a part of Zhangjiajie International Travel Service , locating in Zhangjiajie city, is authorized by China National Tourism Administration carrying out international tour operations (Lisence No: L-HN-GJ00024).Zhangjiajie International Travel Service is a leading travel agency and tour operator with more than 15 years of professional travel service. Our good organization of tour itinerary,our thoughtful service, our well-qualified multilingual guide service, our well-chosen hotel partners and good transport service build your dream trip in Zhangjiajie as well as across <?xml:namespace prefix = st1 ns = urn:schemas-microsoft-com:office:smarttags />China. The owner of ZhangjiajieTRIP Website, Tang Ming is recommended by Frommers China Guide and Lonely Planet, you may find us at the page 483 in Frommers China Guide (2003 3rd Edition) and at the page 536 (2002) because of our hospitality, efficiency and integrity. Tang Ming is famous among the tourists who use Frommers China Guide and Lonely Planet, very helpful English speaking guy who has helped hundreds of English speaking visitors to Zhangjiajie .Now He has joined CITS( Zhangjiajie) specializing packaged tours and hotels reservation. Tang Ming and his English speaking team are dedicated to providing you a delightful and unforgettable experience in Zhangjiajie. Our goal is to offer you unforgettable China experiences from the time you send us an E-mail, help you make the most of your travel time and money. When you book a tour to China with a travel agency in your home country, the price will be marked up multiple times by each layer of intermediary involved. 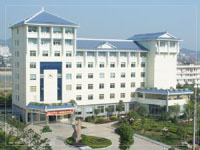 Since we are the direct outlet of one of the best tour operators in China, we can offer you the most competitive rates. please click the link to see tripadvisor reviews for our service.